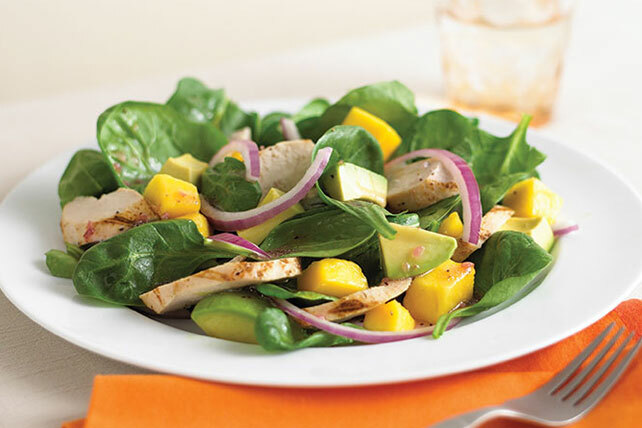 Add sweetness to your lunchtime routine with our Chicken, Spinach and Mango Salad Recipe! This Healthy Living mango salad recipe also features avocados. Toss spinach with mangos, avocados and onions in large bowl. Ripen avocados at room temperature. Small, light brown markings on the skin are normal and have no affect on the quality of the fruit inside.